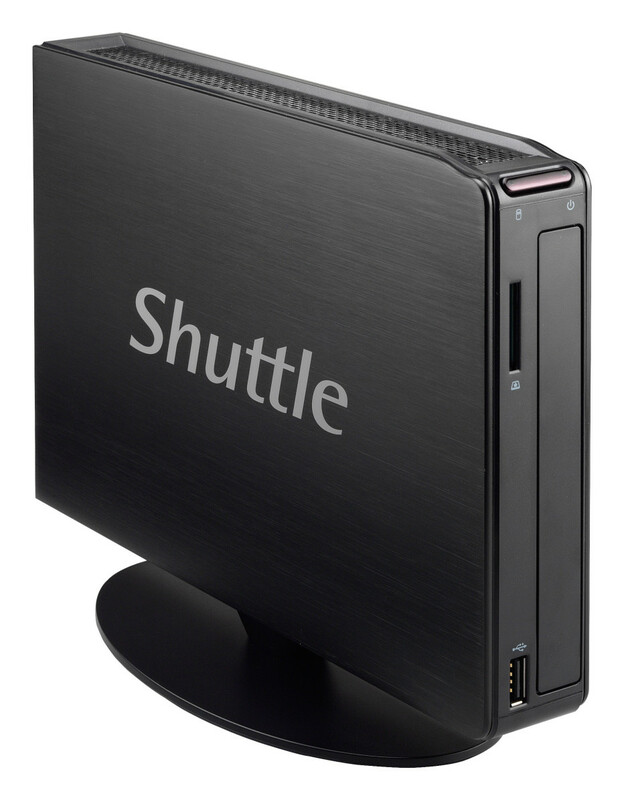 Five years ago Shuttle released the XS line of compact desktop computers and although five years are an eternity in the digital world, the XS line has not been updated ever since. That’s why the XS is a prime candidate for an update, which has come earlier today in the form of new and updated XS desktop computers. The new models carry the XS35V5 Pro and XS36V5 model names but they come with significant changes inside. Both models feature Intel’s Celeron N3050 dual-core processor at 1.6 GHz, support for up to 8 GB of DDR3L memory on one SO-DIMM slot, a card reader, WLAN, Intel Gigabit Ethernet as well as various connectivity ports. The new computers offer two USB 3.0 ports, three USB 2.0 ports, HDMI, DisplayPort, VGA and audio connections up front and in the rear. While the tech specs might not be impressive to some people, the Shuttle X35 and X36 need just 9W of power and have been certified for 24/7 operation thanks to the extreme reliability they come with. The only differences between the two models are in the chassis and the storage options they feature. The X35V5 Pro has a conventional USB 2.0 port inside that can be fitted with a USB stick or other USB expansions. The XS36V5 has two serial interfaces on the front panel that make the device ideal for machine and device control applications. Moreover this model, which is just 36 mm thin has space for one SATA 3.0 2.5-inch drive, be it a SSD or hard drive, while the XS35V5 Pro has enough room for one more slimline drive, or when using a separately available installation frame, a second 2.5-inch storage drive can be added. The list of optional accessories includes a VESA mount (PV01 for XS35V5 Pro, PV03 for XS36V5) and the aforementioned installation frame for a second 2.5-inch drive (PHD2 for XS35V5 Pro). The retail price of the XS35V5 Pro in barebone form is EUR 182, while the XS36V5 costs EUR 181 but bear in mind that these prices are without VAT. 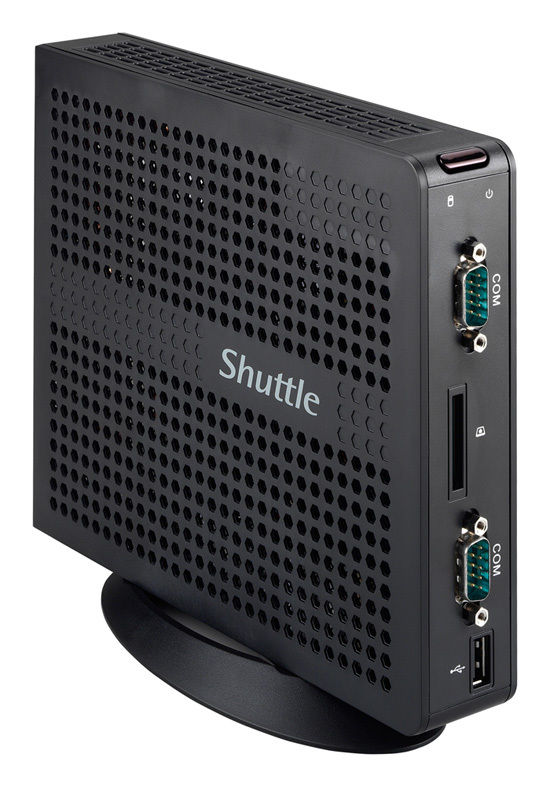 The new Shuttle PCs are available now across Europe.